Ruin left me so emotionally drained and overwhelmed I felt I couldn't do it justice in a review, I've felt that a lot lately, although I'm trying and I'm currently working on it. Slowly it comes together and almost makes sense. I am still suffering the aftermath of my "request everything I have ever wanted to read"-spree on my library's website because everything is coming in faster than I can read them and library books are highly time sensitive! 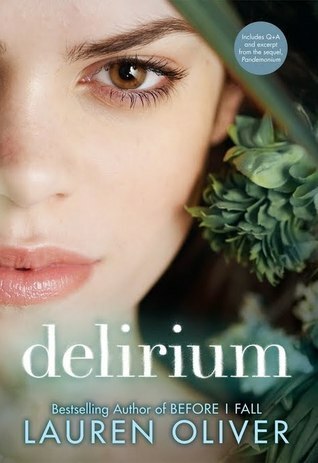 So right now I'm reading more library books than anything else and Delirium is adding to the pile. I'm not sure about this book but it's one of those "It's hyped so it has to be good, right?"-books. I'm not a big fan of zombies, mostly because I have NEVER read a zombie book but I just can't see myself liking them. But The World Without a Future sounds so good I just couldn't say no! As you can see there's two Rachel Van Dyken books on here, why you ask? Because she's AWESOME! I devoured Ruin as soon as I got it and then I decided it had been long enough since I requested anything on NetGalley. And I was in heaven when I found Elect. I LOVED Elite, the first book, and have already read this one too. Took me all of two hours in the evening and three hours the next morning, the only reason it wasn't an all nighter was because I literally couldn't keep my eyes open. The review will be up closer to the release date. I love zombie books if they are written well. 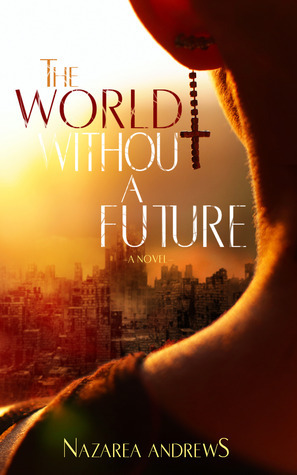 The World Without A Future looks awesome. I like the cover. You got some very spicy reads as well. Enjoy them. I bought Ruin a long time ago, but haven't had a chance to read it yet. I heard it was emotionally exhausting and I just haven't been in the mood for that type of read lately. I really did enjoy the Delirium series. I hope you do, too. I hope you enjoy Delirium! I still need to get around to reading it! oh I hope you enjoy Delirium! I really liked it! It's a little slow but it's worth reading until the end! I like Delirium and I read Pandemonium and enjoyed it too and I have Requiem and intend to finsih the series. I don't know your tastes, but I think you may like it. I like it better than most dystopian YAs. I've had the first two Delirium books sitting on my shelf for so long now, still haven't got to them either - have heard great things though. I work in a library so my house is covered with library books, I honestly can't stop myself. I hope you enjoy all your reads! My STS.